Kristin Cavallari has been a household name for years. She became an overnight sensation on Laguna Beach, then later on The Hills and most recently starring on her very own reality show, Very Cavallari. What started out as a perk to this blonde bombshell, has now turned into a full-fledged profession. From the breakups and makeups (Stephennnn!) to her marriage to former NFL player, Jay Cutler, and now even motherhood, we’ve been there through every milestone, memory and mishap that shaped and defined her life. This New York Times bestselling author, fashion designer and mom-of-three has not only done it all. She’s documented it all, too! How perfect for Us, too! Since we’re all looking to add shape and definition to our lives, what better way to do it than with this Kristen Cavallari-approved product. She’s now not only defining our television screens but she’s helping to shape our brows, too! See it: Grab the Anastasia Beverly Hills Perfect Brow Pencil (originally $23) with prices starting at $20 with offer code “VIP” at checkout for a limited time at Macy’s! Also available for $23 at Nordstrom! According to Cavallari, this Anastasia Beverly Hills Perfect Brow Pencil is the secret to her eyebrow success. This 31-year-old starlet told Good Morning America she credits this little product bringing big joy into her morning routines, noting it was one of her favorite products when keeping her morning beauty regimen minimal. Make no mistake, just because Cavallari calls her morning makeup routine “minimal” doesn’t mean this product’s results are. No, it’s quite the opposite actually! For starters, this pencil is not only one of Cavallari’s favorites but a fan-favorite, too. The pencil was designed to perfectly define brows. It features a velvet-like, tipped-point on one end and a spooley brush on the other. Every brow enthusiast knows how important both ends of this pencil are when filling in brows. The spooley brush side is crucial when looking to blend in any and all of those harsh lines. By working the spool through the brows a few times, it will leave those bolder brows looking so natural, they look real! It’s a no-brainer why this brow pencil goes on so silky smooth. Within its formula are ingredients such as silica, vitamin E and botanical extracts. Silicia is known for smoothing skin while minimizing the appearance of pores and controlling oils, while vitamin E and the botanical extract help skin fight against environmental elements. The key ingredients don’t just work together for a smooth and silky texture, they give it that silky smooth texture. 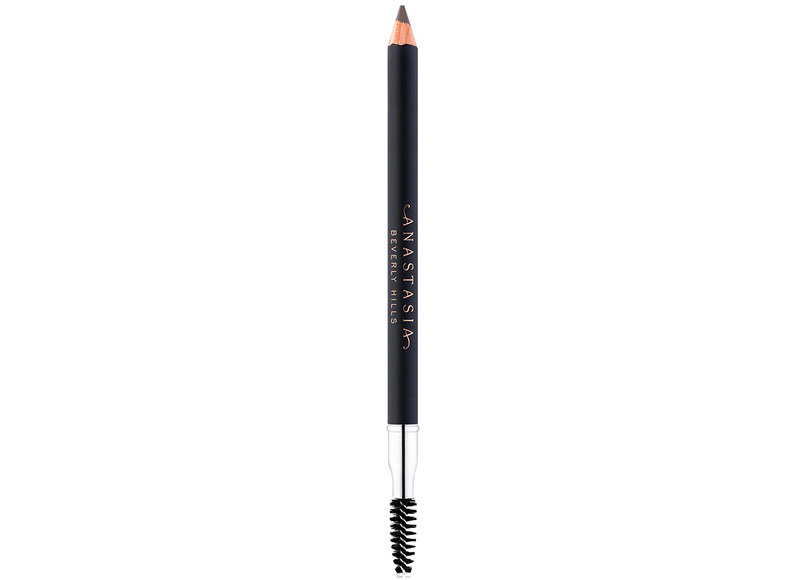 Sure enough, so many reviewers loved this silky smooth brow pencil. Across the board, so many raved over the beautiful product that left their eyebrows looking bigger and better than ever, while others were blown away at how natural their eyebrows appeared to look after using the brow pencil. Let’s be honest, it’s with good reason why so many reviewers were left astonished over this perfect pencil. Eyebrows are beyond tricky. From lines that are too bold to lines that are also drawn in the wrong shade, there are a million different things that can go wrong. The point is to enhance what’s already there. But it’s always easier said than done. Even the firmness of our grip can hinder the end result. Fear not! 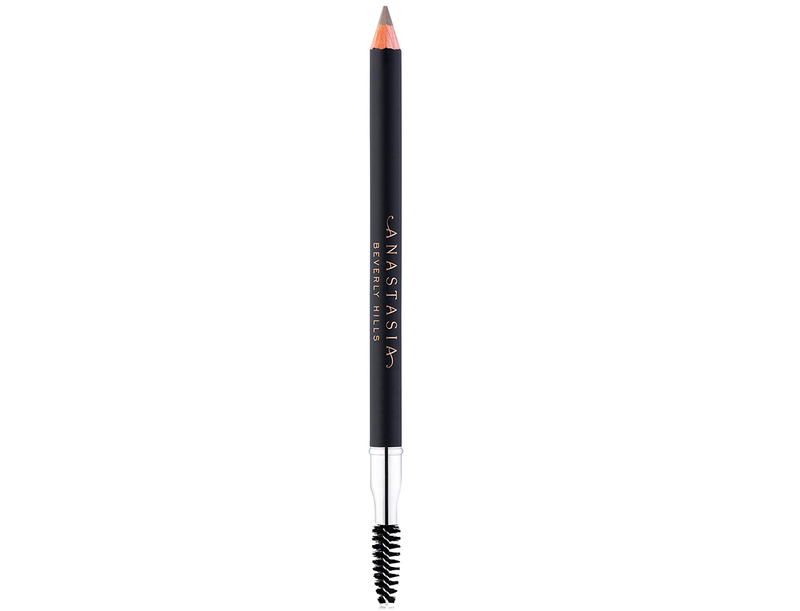 This perfect pencil is the ideal option when looking to fill in brows and extend where needed. When applied on moist or dry skin and using short, light strokes, this product is problem-solving. This brown pencil is practically error-proof once the right color is selected. Anyone knows the key to perfect brows is keeping their shade about a color darker than our natural hair color. With eight shades to select from, a shopper can select from blonde, taupe, soft brown, medium brown, caramel, auburn, dark brown and granite shades available. It’s a given there’s a shade — or two — for just about everyone. In fact, it’s what most reviewers highlighted as their favorite feature when using this product. Gone are the days of the well-known exhausting struggle of finding that perfect shade to match the hair. Most reviewers were thrilled to finally find such a blendable, natural option to keep brows in tip-top shape. Unlike other eyebrow pencil brands, reviewers loved that this pencil left brows looking shiny, soft and sleek. After experiencing products that left their brows looking wax-like, this velvety-smooth option was the options to end all other options. As an author of a how-to-guide called Balancing in Heels: My Journey to Health, Happiness, and Making it all Work, it’s only natural that Cavallari would be behind a product that works so well. So of course, what better way to balance our brows out than with this Anastasia Beverly Hills Perfect Brow Pencil that will brows on point. Not your style? Check out additional Anastasia Beverly Hills products also available at Macy’s!